A Mansfield bar manager jeopardised his job when he revved his engine loudly and sped off from traffic lights while twice over the limit, a court heard. 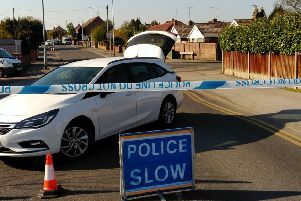 Craig Hazard’s BMW was spotted by a police officer on Nottingham Road, just before 3am, on August 11, and was stopped shortly afterwards. Hazard, 26, of Rutland Street, admitted drink driving when he appeared at Mansfield Magistrates Court, on Thursday. Emma Cornell, mitigating, said Hazard, who has no previous convictions, was supported by his employers who turned up at court. “If he were to lose his licence they couldn’t continue to employ him,” she said. She said he had made a “one-off mistake” by drinking two pints after work and not realising he would be over the limit. Hazard was fined £325 and ordered to pay £85 costs and a £32 victim surcharge. He was banned from driving for 18 months, but was offered a drink drive rehab course which will reduce the disqualification by 136 days, if completed by August 2018.